I have always been interested in artillery, and the bigger the gun, the better. Two years ago I visited Fort Douamont outside the French city of Verdun, and marveled at the way huge siege cannons on both sides that had opened up the Fort's defenses like a hot knife goes through a goose (if you get my meaning). So I was very pleased when Takom released its WW2 version of the Skoda 30.5cm Siege Howitzer. While these guns did important work in the Great War, they also were brought back in World War Two by the Germans in order to attack fortified positions like Sevastopol in the Crimea. Germany lacked a fleet of heavy bombers with large payloads to do this sort of work, and relied instead on massive cannons like the Skoda mortar. The build was very straightforward, but the instructions are far from perfect. Test fit pieces before gluing, and check your references, as there are things like the color of the ammunition that are not revealed to mere mortals. The first part of the build is assembling the gun tube and recuperators. The rifling is extremely disappointing: it only goes about 1/2" down the barrel, and has no "twist." There is no ready remedy for this problem, short of someone bringing out an after-market barrel. There are several things to be careful of when completing the tube, including the 14 adjuster bolts along each side. They're tricky to remove from sprue C (four attachment points that require nimble work with a hobby knife), and they will be easy to knock loose when handling the barrel. The next stage in the assembly is the cradle. There are some knock-out holes on the inner cradle with the gear teeth that engage the cogs on the mechanism for raising and lowering the gun (see photos below). Overall, though, the kit has limited flash or knock-out holes. A number of pieces do have knock-out "tails" (where the styrene leaves extra sticking out of the filler holes in the mold). These will need to be removed. Additionally many of the attachment points are clunky and will have to be filed down after severing with a sprue cutter. I recommend getting a quality one with a good, sharp tip. The instructions for the kit are mostly clear and straightforward, but the placement of pieces C-21 & C-24 are murky and will have an impact later on. As best I could determine, they are meant to line up with the outward edge of pieces C-20 and C-23, but the result was like wrestling an alligator when time came to add the front "shield" assembly B-6. Reversing the placement suggested by the instructions will make the later assembly easier, but perhaps incorrect and definitely strange-looking. The next step is to prepare the mounting platform. Unlike the WW1 version which was on wheels for transport, the WW2 variation was set onto a metal platform with a rotating turntable that is mounted in the kit version with retaining nibs, much like a tank turret. After that, the levers and wheels that control the gun's movements are added to the cradle sub-assemblies. One major problem with the platform & turntable: there is a small ring on the left-hand side of the turntable where the brake wheel assembly C-2 & C-31 enters (looking and acting much like the handbrake on a railroad car). The ring and mounting hole need to be CAREFULLY removed because it is about 1" out of alignment. Either use a sharp hobby knife with caution, or consider a razor saw. Once the gun cradle is finished, it is mounted in a 3-step process: the right side of the cradle is glued to the turntable, then the gun is mounted to the pivot point at the top. Finally the elevator gear is meshed with the gun cradle's gear teeth and the left cradle assembly is glued to the turntable. Because the instructions, unfortunately, were murky about the placement of the front components of the cradle, the struggle to align the various sub-assemblies may result in a poor fit. The photos below show a very good rendition of the 30.5cm mortar, but I don't think I would enter the kit in any competition where its shortcomings would be glaring. Overall it's a fun gun and I recommend it for anyone who likes the King of the Battlefield. I'm afraid you DID write it, Eddy, LOL! The Great War is the transition from 19th Century warfare to 20th Century war of movement. The wheels of most guns were wooden because they had been wooden for centuries. Gradually rubber rims softened the ride, then rubber, pneumatic tires replaced those. But you then needed brakes or else the gun would risk "jack knifing" when going down a hill or coming to a halt when pulled by motorized transport. 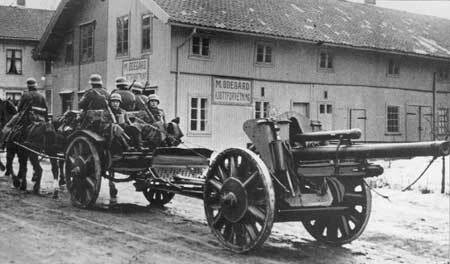 So by WW2, you are seeing mostly pneumatic tires and brakes, though the Germans continued to pull a lot of their artillery with true "horse power." Hi, Ian, when my son and I visited Ft. Douamont outside Verdun two years ago, the craters of large-caliber shells lobbed onto the fort left massive craters. Men went stark-raving mad inside the fort during the bombardments. 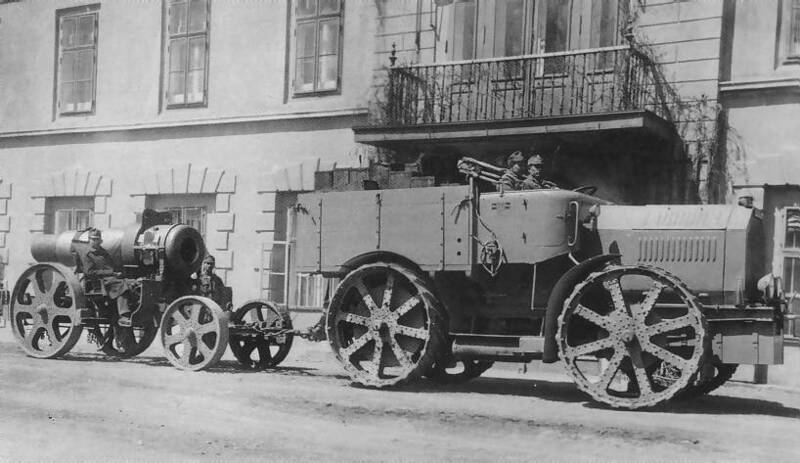 In WW1, the gun (in separate loads) could be towed by a Skoda-Daimler Artillerie Zugwagen M. 17 "Goliath" (a.k.a. 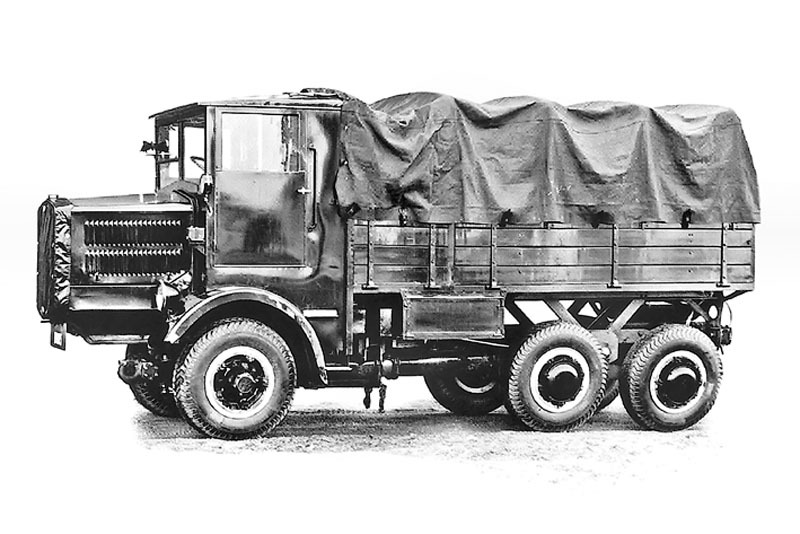 VZ-17 Radschlepper) : Here's a different-looking tractor : H.P. Thanks, HP! Been watching some WW1 programs, and the variety of large field and siege guns in the war is quite amazing. No one has even scratched the surface of the Great War artillery in styrene or resin. You're welcome Bill Just came across the WW2 standard tractor for this gun, the Tatra T 25 : http://www.kfzderwehrmacht.de/Homepage_english/Motor_Vehicles/Czechoslovakia/Tatra/Tatra_T_25/tatra_t_25.html A few more tractor options in this thread : http://forum.axishistory.com/viewtopic.php?f=70&t=170553 H.P. Thanks, H. P. It's outta my league for scratch-building, but maybe one of y'all will be inspired?